Quarto. Unpaginated. 325 plates, some full-page, rest smaller. Paperback with jacket. Fine/Fine. 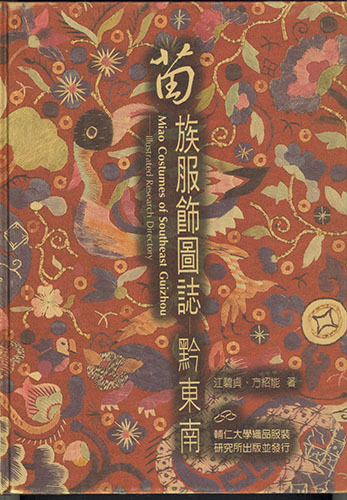 This book illustrates textiles and other specimens selected from over 16,000 pieces collected by Count Koreaki Kamei (1861-1896) while he was studying aesthetics and art history in Germany from 1886 to 1891. First edition. Quarto. 200 pp, with over 200 color illustrations. Cloth with dustjacket. Fine/Fine, a new copy. 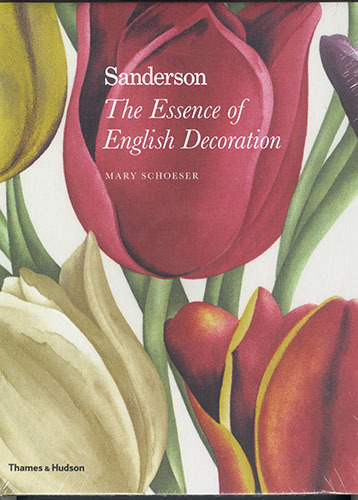 For 150 years Sanderson has been at the vanguard of significant movements in European decorative arts, from Arts and Crafts and Art Deco to 1980's country-house style to the vibrant interiors of the twenty-first century. 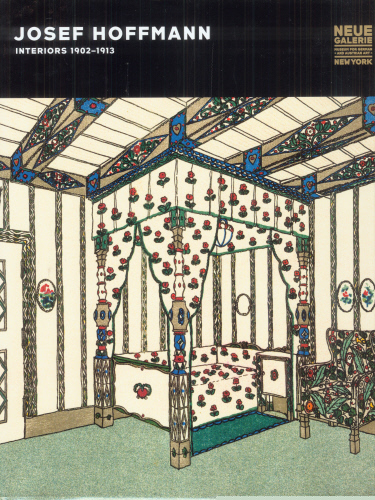 The book features over 200 patterns specially selected from the Sanderson archives and reproduced in color. Second printing. Octavo. 67 pp; Color frontispiece, b/w photographs & illustrations throughout. Cloth with dustjacket. VG in VG- unclipped dustjacket. Short tear at top edge of front panel. Inscribed by the author on front flyleaf. First edition. Quarto. 206 pp; approx 174 color & 14 b/w illustrations; map; appendices; glossary; bibliography; index. Cloth with dustjacket. Near Fine/Near Fine, short tear at top of jacket spine. 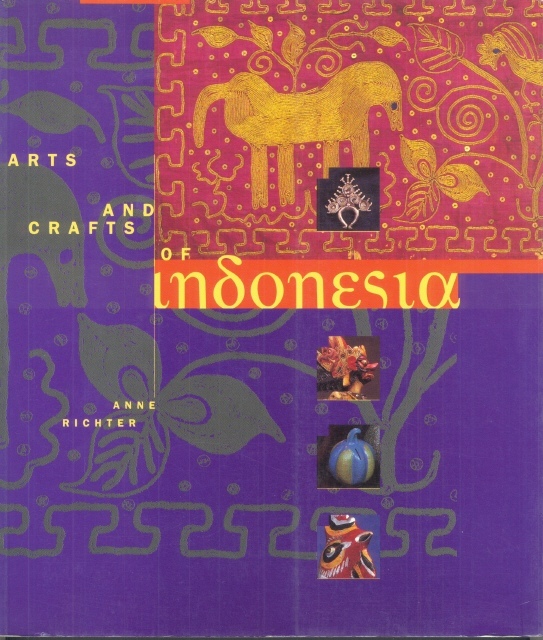 This book illustrates 140 key pieces in the collection of Victoria & Albert Museum's Indian Dept. 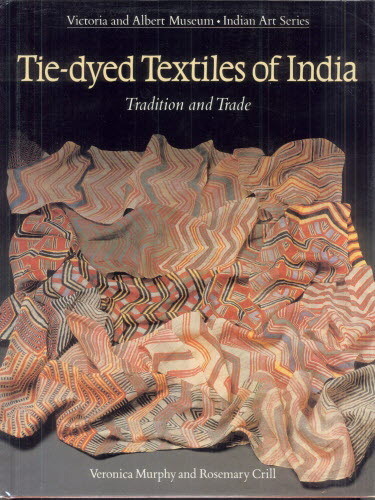 Rosemary Crill discusses the indigenous tradition of tie-dying; Veronica Murphy discusses her pioneering study of the Bengal export trade in tie-dyed handkerchiefs, and their Indian and European imitations. Quarto. 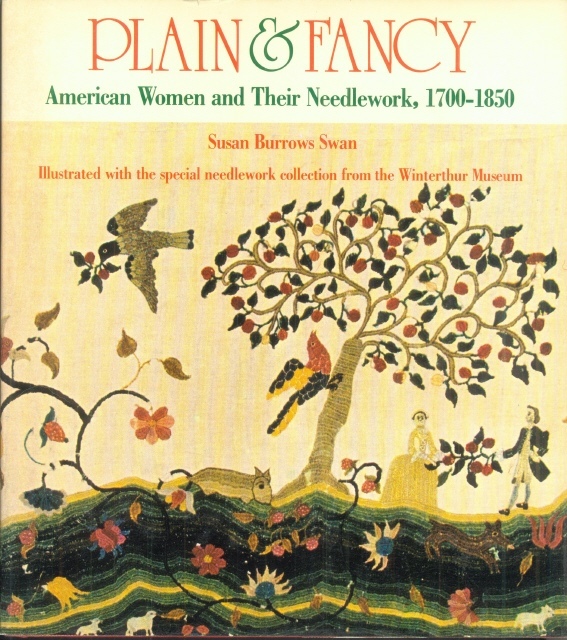 248 pp, illustrated with over 600 designs, patterns, and settings in color & b/w; bibliography; index. Patterned boards with dustjacket. Fine/Fine. 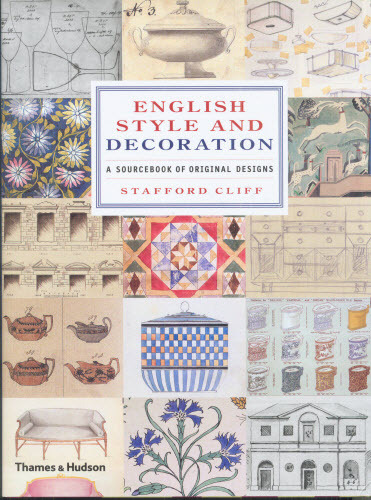 This beautifully illustrated book presents original designs developed in England for almost 3 centuries, beginning in 1700. Included are original sketches and printed patterns for furniture, textiles, flooring, wallpaper, glass, ceramics and household utensils, from doorknobs to tableware to light fittings. Quarto. 256 pp; profusely illustrated in color and b/w; bibliography; appendix; index. Cloth with dj. VG/VG, closed tear on front panel (not visible). Textiles for draperies, upholstery, floor coverings and other applications in homes ranging from palatial to spare. The authors chart the changing tastes and technical innovations of succeeding decades from 1790 to the present day. First edition. Quarto. 39 pp; 20 b/w illustrations; bibliography; checklist of the exhibition. Paperback. A fine, unmarked copy. 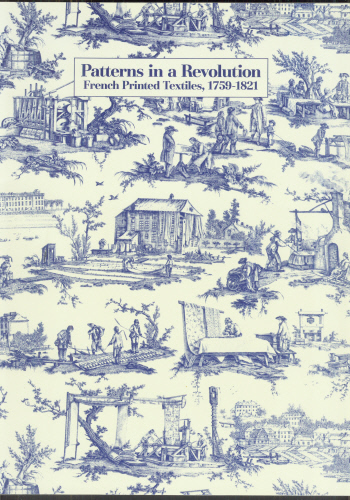 This catalog presents the printed textiles manufactured by the Oberkampf firm at Jouy-en-Josas on the outskirts of Paris. 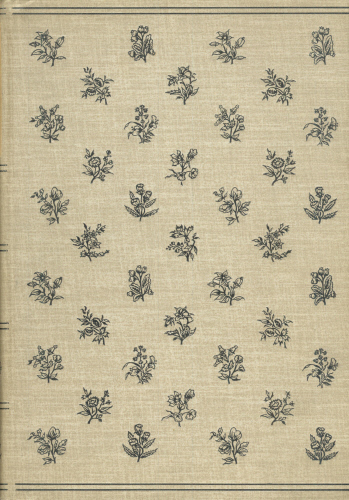 The selected patterns chronicle and illuminate changing tastes in the period from 1760 until 1818. First edition. Quarto. 313 pp; color & b/w photos and illustrations throughout; bibliography; index. 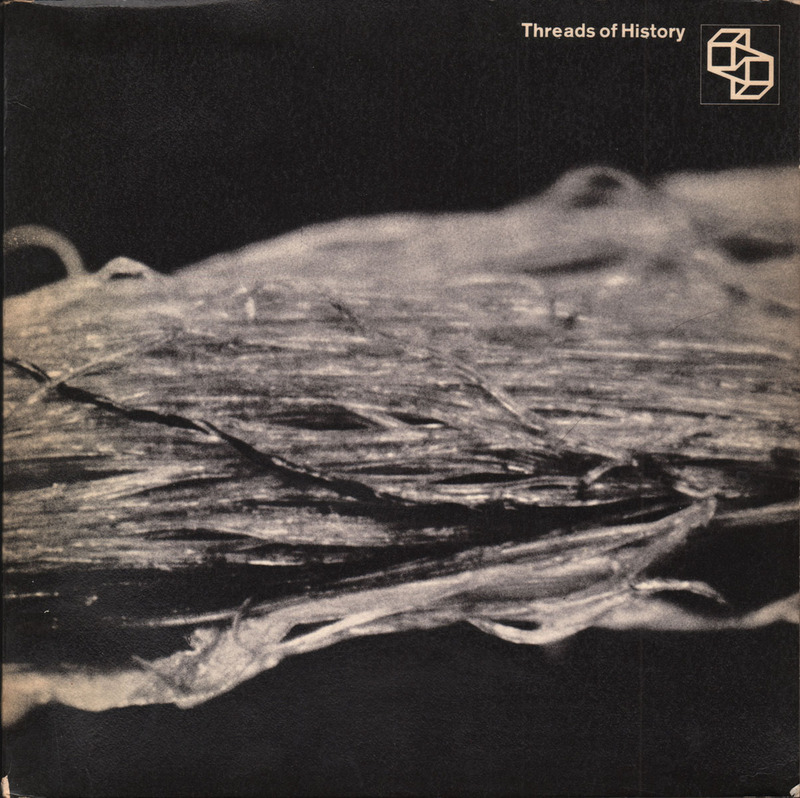 Cloth with unclipped dustjacket. Near Fine in VG jacket. 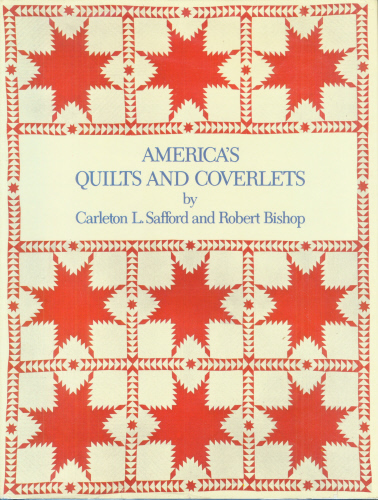 Although patchwork and applique quilts dominate this work, the authors left plenty of space for other examples of bedcoverings created by past generations of American women, including bed rugs, linsey-woolsey coverlets, whole-cloth spreads, crewel-work spreads, white work or trapunto, overshot coverlets, double weave coverlets, summer and winter coverlets, Jacquard coverlets, candlewick spreads, stencil spreads, crazy quilts, and also some modern examples of patchwork and applique. 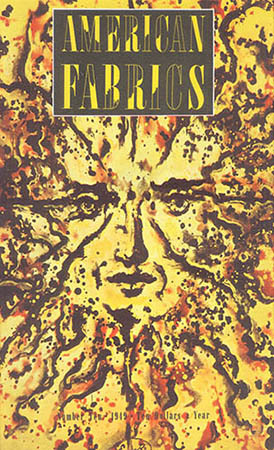 Edition of 2000 copies. Quarto. 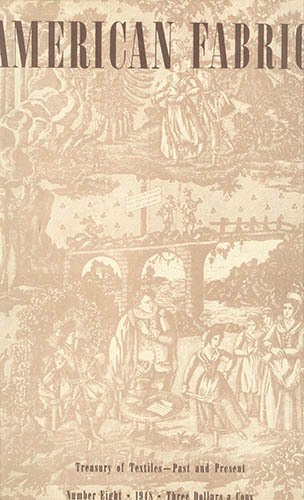 xvii, 108 pp; color frontispiece; 92 monochrome plates; brief bibliography; index. Printed cloth. VG, covers are clean and bright. 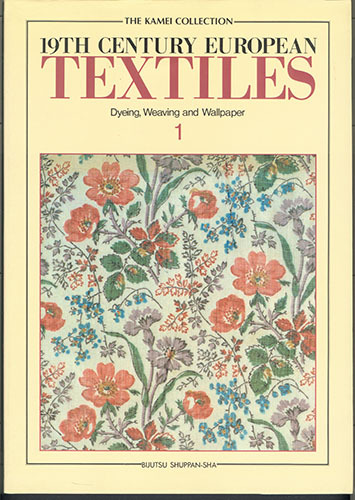 Textiles illustrated were part of the Retrospective Exhibition of Painted and Printed Fabrics at MMA in summer 1927; most are from the Museum's collection. 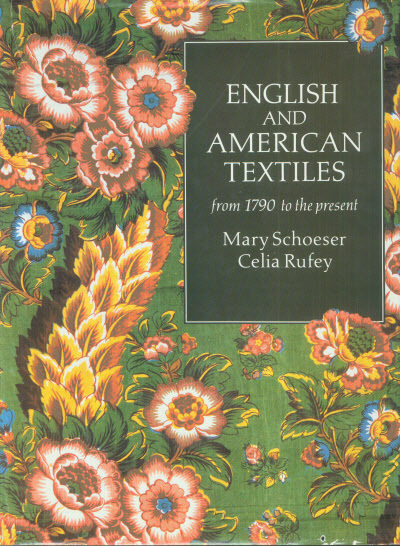 Chapter "Notes on the History of Cotton Printing Especially in England and America" by Frances Morris. Quarto. 112 pp; numerous b/w illustrations. Paperback. VG. 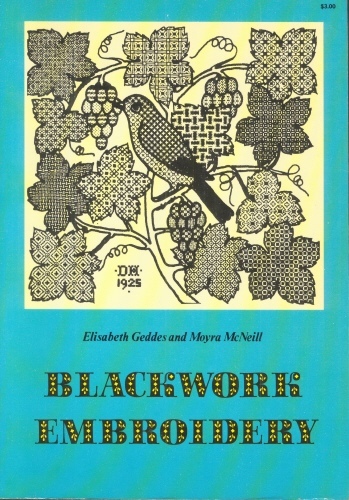 Blackwork embroidery was very popular in Tudor times, and enjoyed a revival in the 1960's. A form of counted-thread work, blackwork emphasizes shading contrasts that are possible working with a single color of thread. Quarto. 254 pp with 781 lots illustrated in b/w & color. Cloth with dj. VG/VG. Auction held October 14 & 15, 1983. An important sale of fine American and English furniture, English and Continental ceramics, Chinese export porcelain, textiles and related decorative arts. L'ART APPLIQUE FRANCAIS D'AUJOURD'HUI: Meuble, Ferronnerie, Ceramique, Verrerie, Tissus, Etc. Quarto. 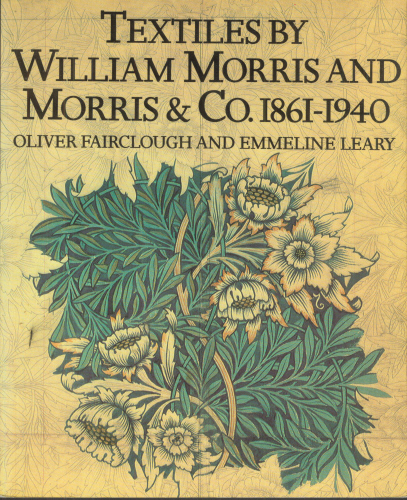 317 pp; illustrated throughout with b/w photos; index of designers. 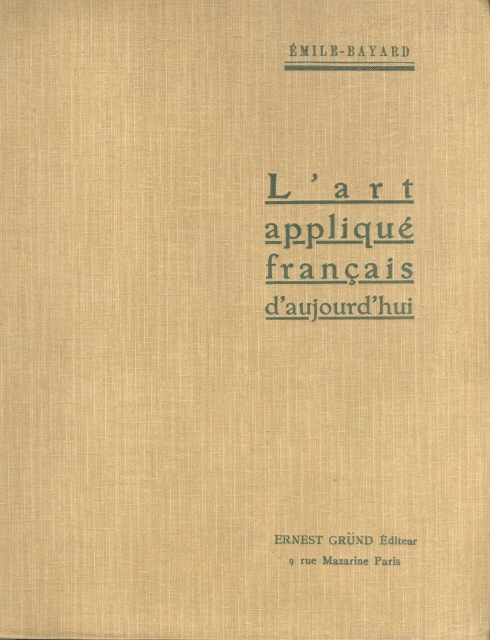 Text in French. Tan cloth with green-stamped lettering, top edge gilt. Backstrip worn, 3 1/2" split at bottom but holding. First printing. Octavo. 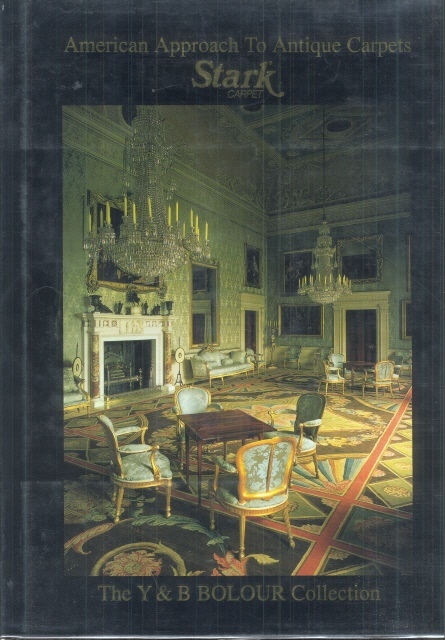 240 pp; profusely illustrated with 42 color & 123 b/w photographs from the collection of the Winterthur Museum. Publisher's red cloth with black-lettered cover & spine in dustjacket. Near Fine/VG, a crisp, tight, unmarked copy; unclipped jacket with minor edgewear. Review slip laid in. Quarto. 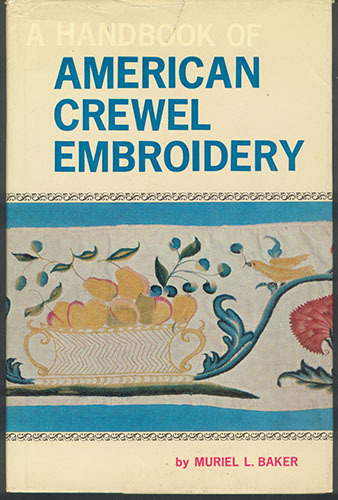 314 pp; 126 full-page color plates of carpets plus several color photos of interiors of houses in the Britain and the U.S. Black cloth with gilt lettering on cover and spine. VG/VG, jacket lightly rubbed. 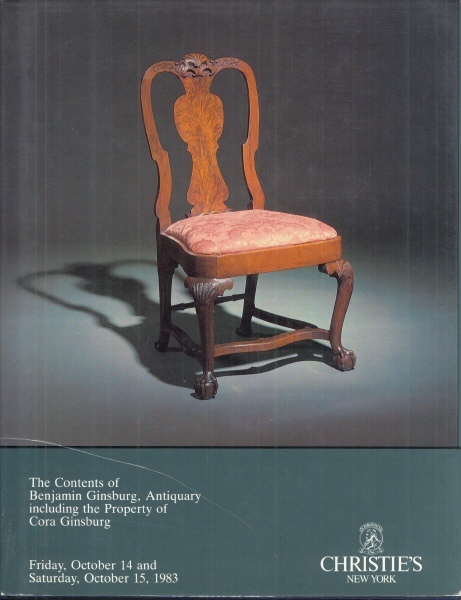 The book presents the 1993 Y & B Bolour Collection of primarily 19th and early 20th century carpets. Vol. 2 shows color plates of 6 Savonnerie, 38 Aubusson, 6 Axminster, 10 Arts & Crafts, 4 Bessarabian, 17 Indian, and 27 Persian carpets. Also color plates of 11 needlework and 7 tapestry -- mid & late 19th C.